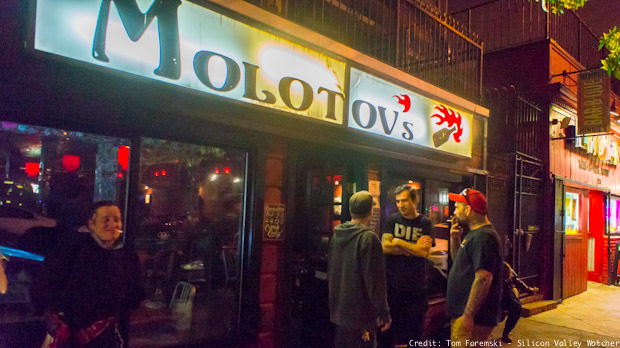 Sarah Slocum’s recent experience at Molotov’s, a lower Haight Street bar where an irate drinker snatched her Google Glass off her face, did a lot to boost her popularity as TV and newspapers covered the incident. But the association with someone who called the incident a hate crime, has not been good for Google Glass. Several prominent Google Glass enthusiasts I know have started to leave their digital goggles at home, and I’ve heard others are doing the same. They don’t want to be associated with Slocum even though they like the wearable technology. It’s not just the Slocum effect: there’s a sense of manners related to the use of any camera in public that requires people to ask permission. You can generally see if someone is pointing their phone at you yet it’s difficult to tell if a Google Glass wearer is taking photos, or shooting video. This is especially true in the latest version of Google Glass where the bright tiny screen is now very visible to outsiders and is clearly on even though it might not be recording. This makes it creepy to talk with wearers and their owners are noticing this and are becoming self-conscious. It has become very gauche to wear Google Glass in social contexts and people are leaving them at home. There’s a lot of enthusiasm for wearable technologies these days. It’s worth noting that anything wearable is a fashion item and subject to a fickle world of constantly changing styles. Fashion is a social phenomenon and when the masses decide something is not cool anymore there’s nothing much you can do about it. Her assertion that she was the victim of a hate crime was ridiculed. And her past came to light, including a series of restraining orders filed against her - one for video-recording people through an open window of their home.